Your time is valuable, especially when you’re on holiday and there’s skiing to be done. No one wants to be wasting time on a transfer from the airport to the ski resort, especially when time isn’t on your hands. Here at Ski-Lifts, we ensure that your transfer is seamless, so if you only have a short time on your ski break, book a hassle-free transfer with Ski-Lifts to one of these ski resorts with short transfer times. Morzine is one of the resorts across the Portes du Soleil ski area in France, which stretches up the France–Switzerland border. With 52 hotels and 41 bars and restaurants, there no shortage of facilities. 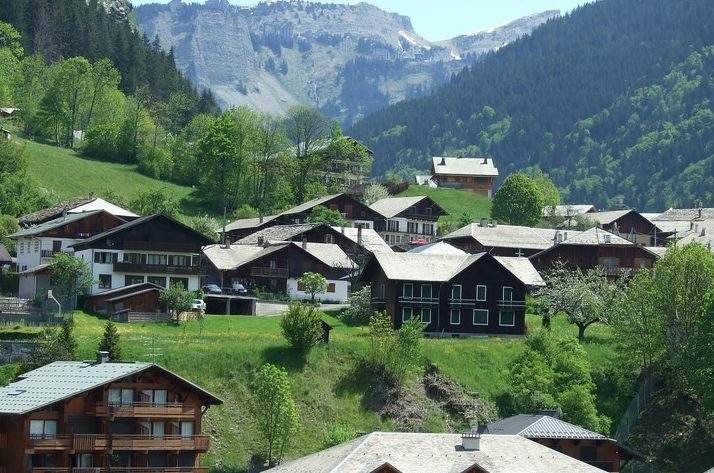 With that being said, Morzine still manages to pull off that genuine mountain village vibe. When it comes to the slopes, Morzine is a perfect ski resort for beginners and intermediate skiers, with plenty of gentle pistes. 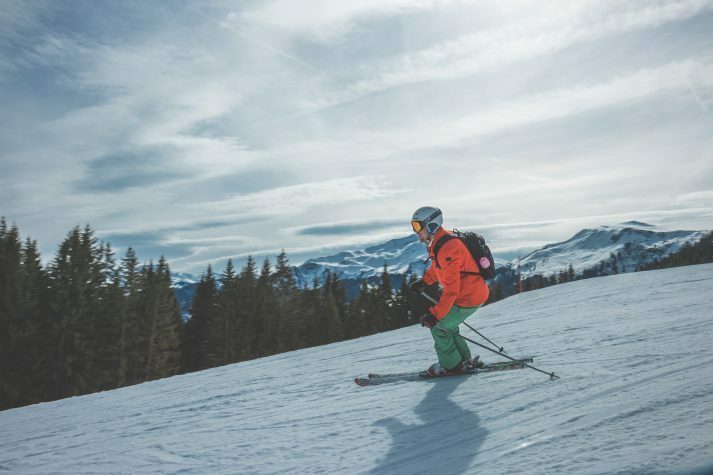 Even if you’re not a dedicated skier, Morzine is one of those ski resorts where there is an abundance of other activities to fill up your holiday while everyone else is whizzing down the slopes. These adventurous activities include; ice-diving in a lake, nature discovery tours, snowmobiling, tobogganing, snowshoeing and of course, shopping. Chamonix town in Chamonix Valley is bustling with life, thanks to the 9,000 permanent residents and plenty of tourists. While Chamonix could hardly be classed as a tranquil alpine retreat, the surrounding cliffs and tumbling glaciers of the Mont Blanc massif makes a stunning setting. The town’s old buildings have kept their authentic look and also now that Chamonix centre is traffic-free, it offers pleasant walkways, with cafés looking over the river Arve’s torrent and no shortage of quirky shops – galleries, bookshops and speciality food, along with classic souvenirs and the latest ski and snowboarding gadgets. Verbier is the main resort in the 4 Valleys, the largest Swiss ski area. Verbier’s success is due to a combination of a sunny, scenic location, brilliant terrain and a lively bar scene. Verbier has been a long time favourite of the young and sporty clientele. The fact that Verbier is so easy to access from Geneva Airport has also helped with the popularity. Thanks to the altitude of the ski area and the snowmaking, Verbier is a safe bet when you’re booking for early or late season. The resort itself sits at 1,500m, however, heights of more than 2,700m can be reached by a couple of gondola rides, which only take around 11 minutes altogether. At 2700m you can bet your house there will be abundant snowfall. Much like Chamonix, located on the French side of Mont Blanc in Chamonix Valley, upmarket Courmayeur is one of the great ski and climbing towns in the Alps. The Italian side of Mont Blanc has a totally different weather pattern to that of the French side. In the winter Courmayeur gets much more sunshine than shady and chilly Chamonix. The centre of Courmayeur village is pedestrianised and lined with high-end boutiques, lively bars, quality restaurants and even antique and homeware shops. The main ski area is reached by cable car from the centre of the village. The top lift reaches a maximum height of 2,755m and the bottom of the slopes lay at 1,224m. St Anton is, Arlberg is situated in the western part of the Austrian Tyrol region, the town has always been well known for its natural beauty, reliable snowfall and the excellent condition of the slopes. The large networked lift system in St Anton includes the neighbouring resorts of St Christoph and Stuben and a St Anton ski pass also covers the resorts of Lech and Zurs. Although the town does lay low, luckily there’s good range of skiing from 1200m to almost 3000m. The ground is grassy and below 2000m, so there’s no real need for a large snow base to make the runs skiable. However, well over a metre of snow is needed to cover the rocks above the tree line. Early on in the season, lower resorts are likely to have more runs open. Skiers and snowboarders have been hitting the slopes by Mayrhofen for more than a century and for the locals, providing hospitality, is a way of life. The Zillertal, where Mayrhofen lies, is also famous for being one of Austria’s most musical valleys – almost every member of local families can boast of being a member of a band. The musical theme extends to all the way to the mountain, where music can be heard across the slopes from every mountain hut. Mayrhofen boasts 136km of runs and 57 lifts, a reputation for consistent snowfall throughout the season and runs which sit between 1,650m and 2,500m. Mayrhofen is packed full of red runs and suits versed intermediates perfectly. For those experts, Mayrhofen is home to Austria’s steepest slope, the Harakiri. La Clusaz is an authentic mountain village that boasts a rustic and Gallic charm. Due to the proximity to Geneva airport, La Clusaz attracts a tonne of weekend visitors. The local slopes are all below 2500m, so snow conditions can be unpredictable, however, there is a lot of snowmaking to make up for that. There are steep black runs and bumps, as well as decent off-piste when conditions allow. There are also challenging but wide blues, as well as gentle nursery slopes up to the mountain. La Clusaz is home to rustic huts throughout, and a few lively bars to keep you occupied. Solden is home to some challenging red pistes and exceptionally long top-to-bottom runs. For those who love the lively bar scene, Solden is the place for you. The ski area in Solden is not enormous. However, the runs go high and all sectors offer serious vertical and also some long runs. Snowmaking spans across 67% of the area, including all slopes on Giggijoch. Even in a generally poor season, you can usually count on coverage, even down to resort level. This medieval silver-mining centre deserves its reputation as one of the most picturesque ski towns in the Alps. Old coaching inns which have now inevitably been converted into four- and five-star hotels compete for space in the medieval streets alongside expensive fashion boutiques and fancy cafés. The town stands at 800m and the top lift at 2,000m. For guaranteed snow, head to Kitzbuhel between the end of January and the majority of February. Although Kitzbuhel may look like one of the most expensive resorts in Europe, surprisingly prices fail to reach anywhere near the heights of Courchevel or Zermatt. 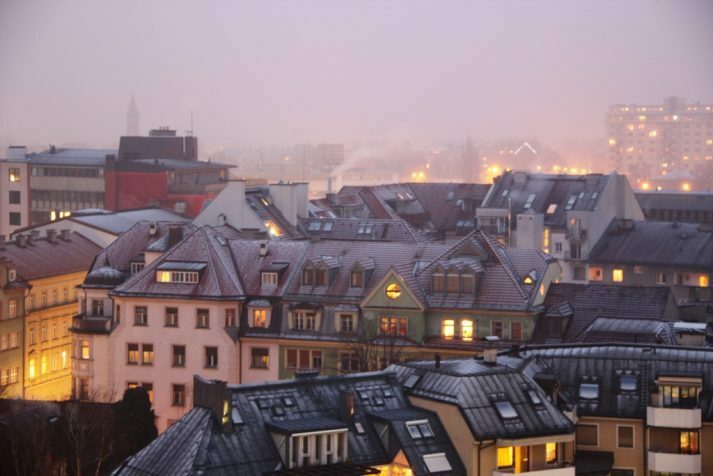 Innsbruck is a city, not a ski resort, right? Our answer to that is, take a look at the map. Innsbruck is a place surrounded by mountains. To the north lies the Nordkette. South-east of Innsbruck city centre is the Patscherkofl, while to the south you will find the east-west ridge of the Alps and the slopes of the Stubai Glacier. To be precise, there are nine ski areas surrounding the city, covered by the same lift pass. These ski areas offer a brilliant variety of terrain.